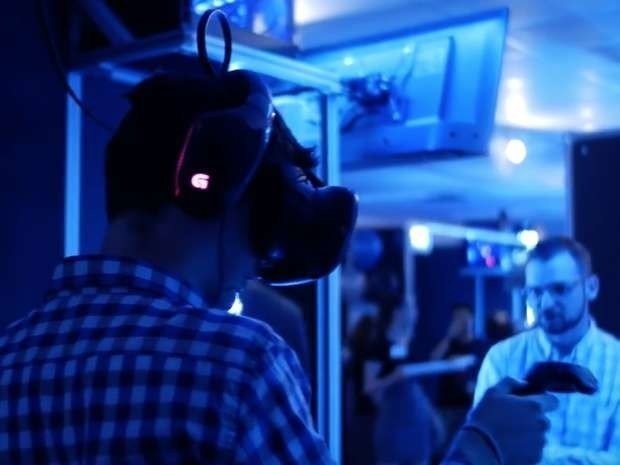 Location-based virtual reality (VR) centres are becoming popular attractions that allows visitors to try out VR experiences without the expense of buying their own home kit. One of North America’s biggest chains for VR centres, Ctrl V has announced its Demo Days, which will include free sessions for Space Pirate Trainer and Beat Saber. Starting from 5th September, 2018, Ctrl V locations across the USA will be providing free 20-minute VR demos on the first Wednesday of every month. Sessions will be provided on a first-come, first-served basis. According to Ctrl V, roughly 80% of its customers are experiencing Vr for the first time at a Ctrl V arcade. The company says that up to 10,000 new customers pass through its doors each month, many drawn by positive word-of-mouth. “Most people don’t realize that VR can be experienced and enjoyed by anyone, whether you’re 6 years old or 86 years old. If you haven’t tried it before, it’s hard to truly understand why it’s so compelling. Many customers are apprehensive of new technology or are nervous about experiencing motion sickness. Though both of these factors have been virtually eliminated by the latest advancements in VR hardware and the high-caliber content we offer, we want to provide customers with zero-risk opportunities to experience this for themselves,” says Brooks. More information about the Free Demo Day program is available on the Ctrl V website. Further news on new developments in location-based VR will be covered here on VRFocus.